Blog post: What kids *really* want from us when they ask for help … – Do we really help bullied students when they approach us for help? 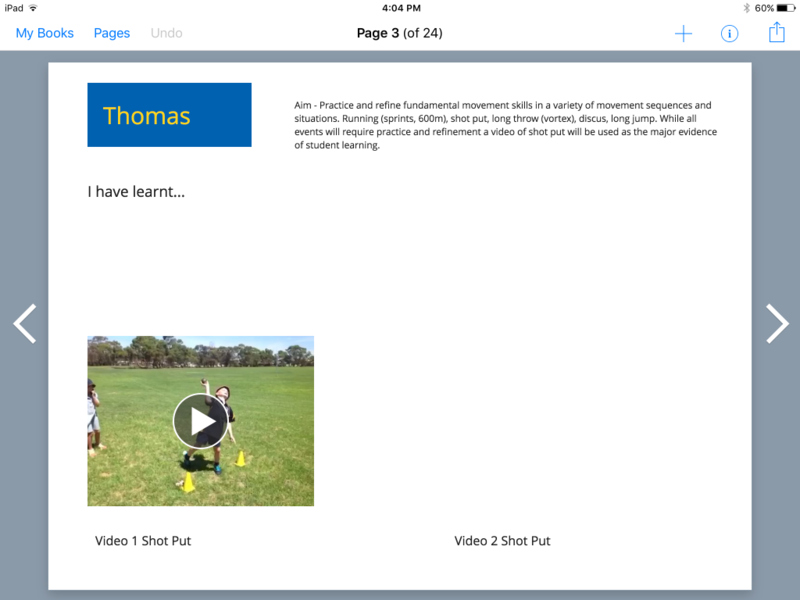 Title: Emily Tout Growth Mindset Speech – A student talks about how she applied a growth mindset. We don’t often get a chance to go into other classrooms and when we do it is usually a quick visit and we don’t have the time to really look at what others are doing. 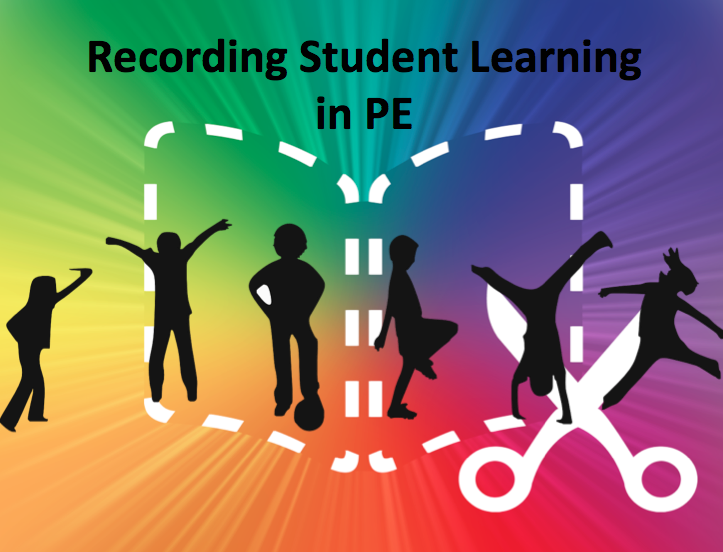 Some of what you will see in this post is linked to student work while other aspects are linked to class structures or learning concepts like word walls and Growth Mind Set. 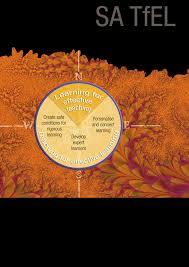 I realise there are many things related to student learning and classrooms that are not included in here. 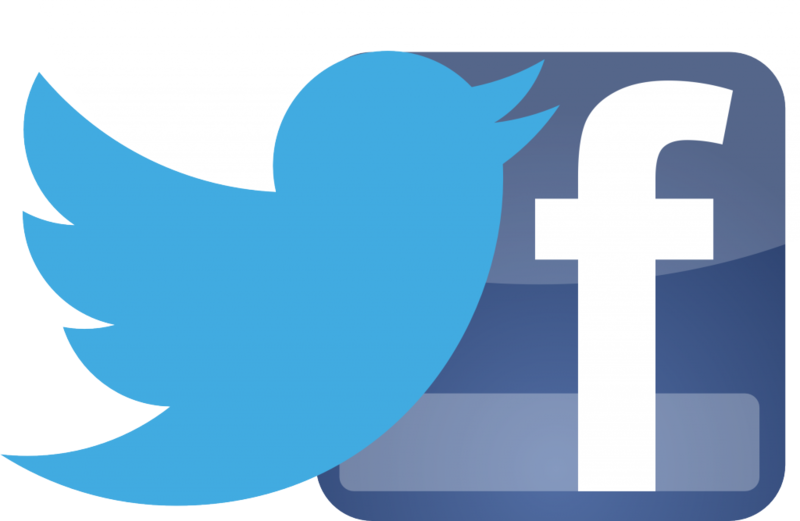 The post is not intended to be an exhaustive list of what is happening in the school but rather a way of connecting us with each other in a way we normally don’t get to. 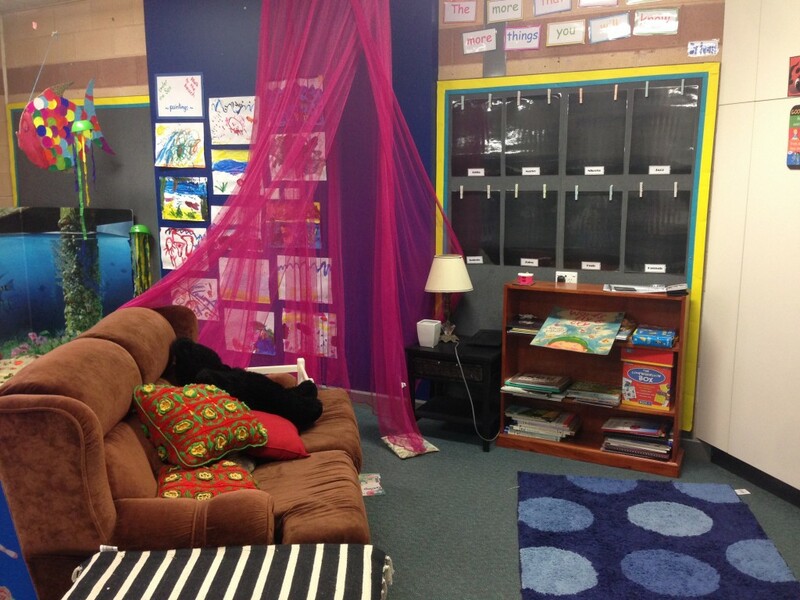 In the Reception Year 1 class they are lucky to have a big space. 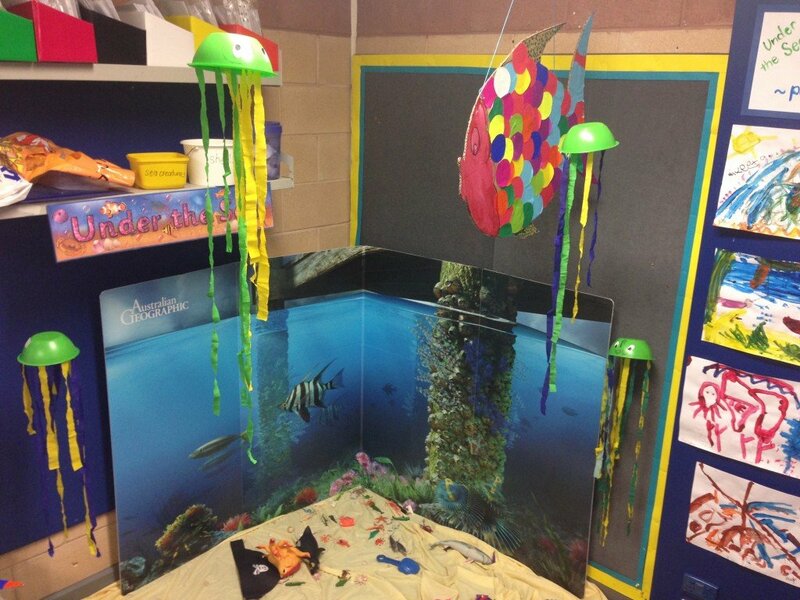 This space is used in a variety of ways including an area specifically for reading and as a space to set up a themed learning environment linking to their science work on animal habitats. 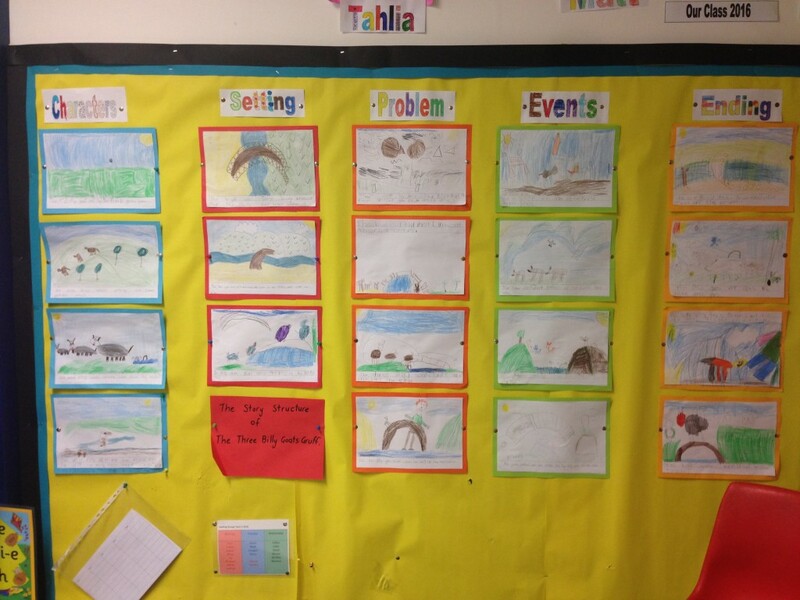 The Year 1/2 students have a wall dedicated to the process of writing a story. 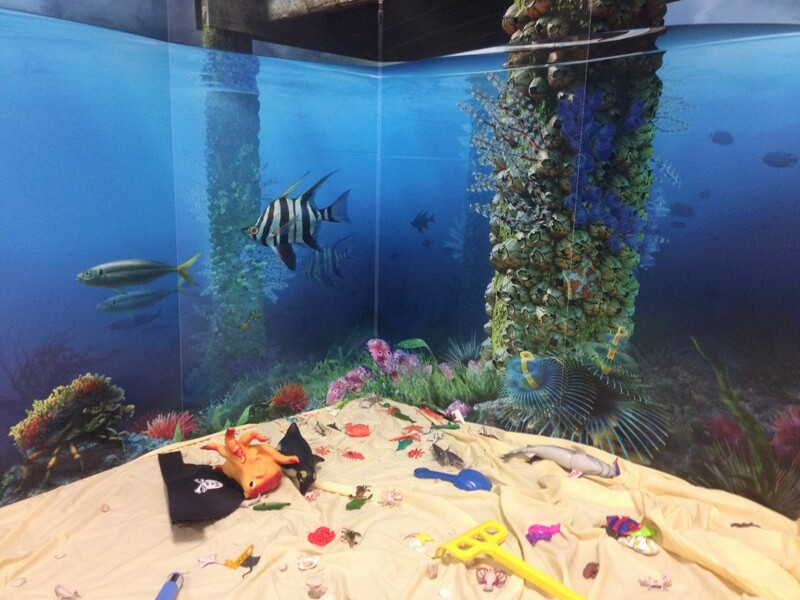 The wall shows how students stories are created by introducing the characters, explaining the setting, developing a problem, the events that occur to solve the problem and the ending. 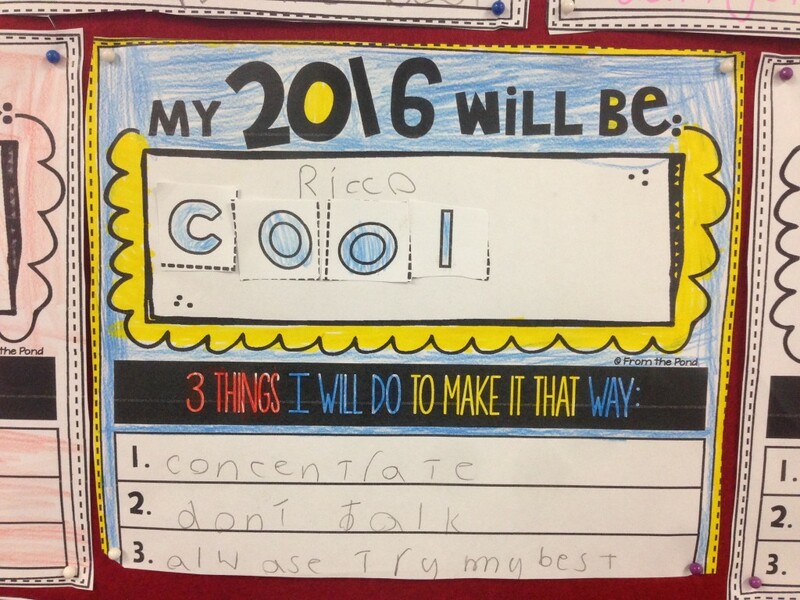 The 3/4 class have looked at how they will make 2016 a positive year through discussions about Growth Mindset. Each student has stated three things they will do to help achieve this and put them up in the classroom. 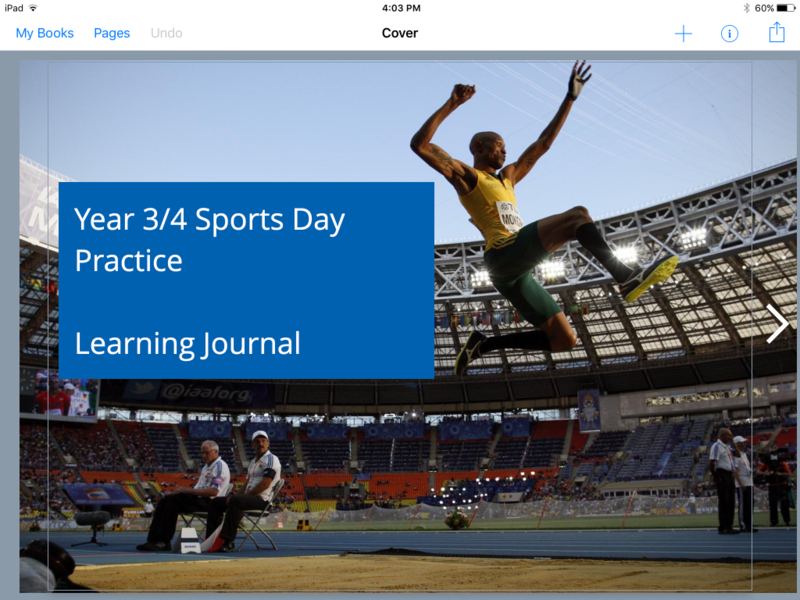 This is one step towards holding students accountable for what they have said and supporting them to achieve goals. 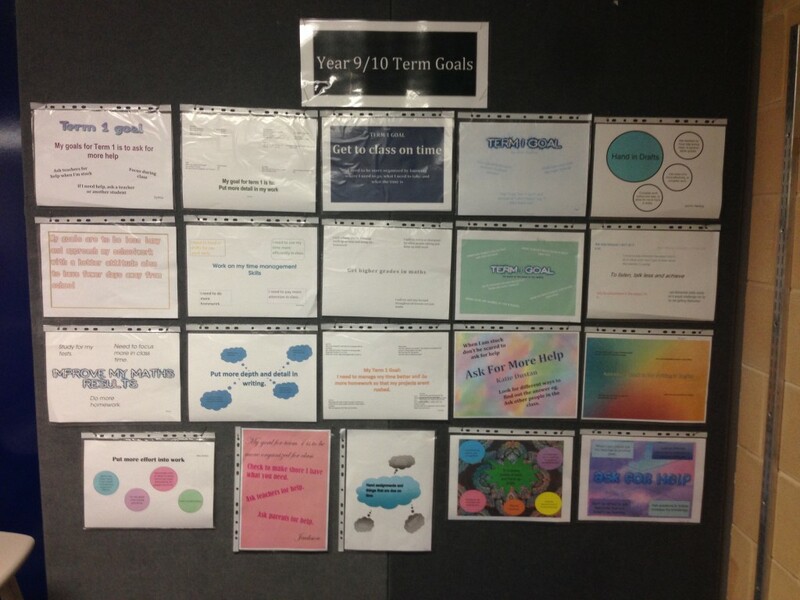 The 9/10 class have also developed a learning goal for term 1. 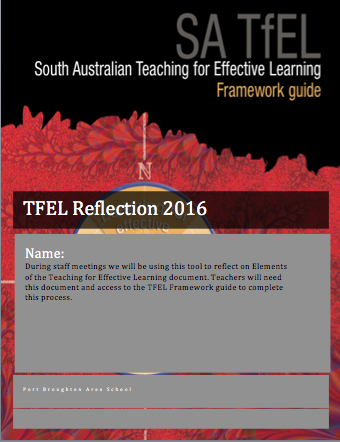 Students goals are based on their 2015 end of year report and reflect an area of improvement they would like to make with their learning. 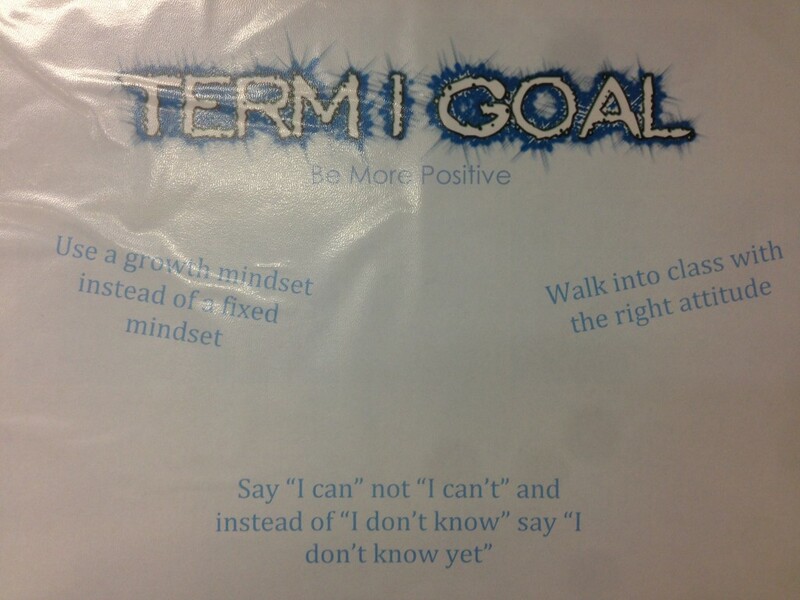 Students reflect weekly on how their goal is going through a set of standard questions. 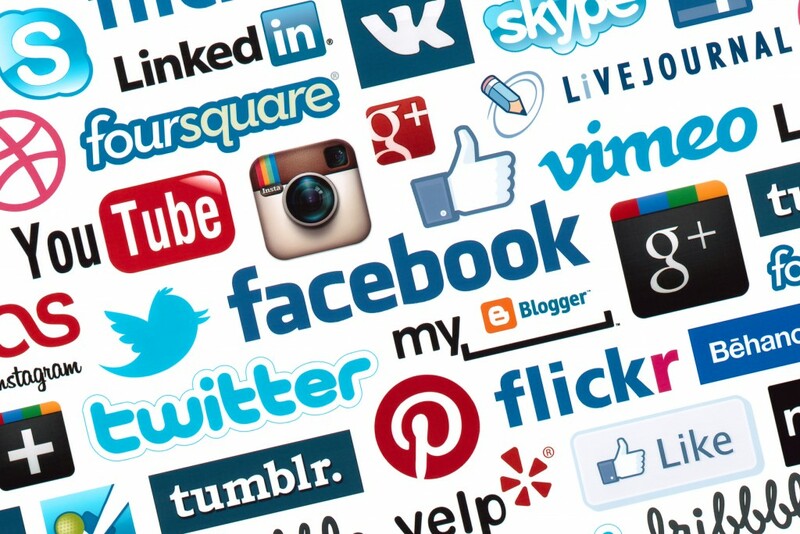 Students reflections are recorded on their private blogs every Monday in Pastoral Care. 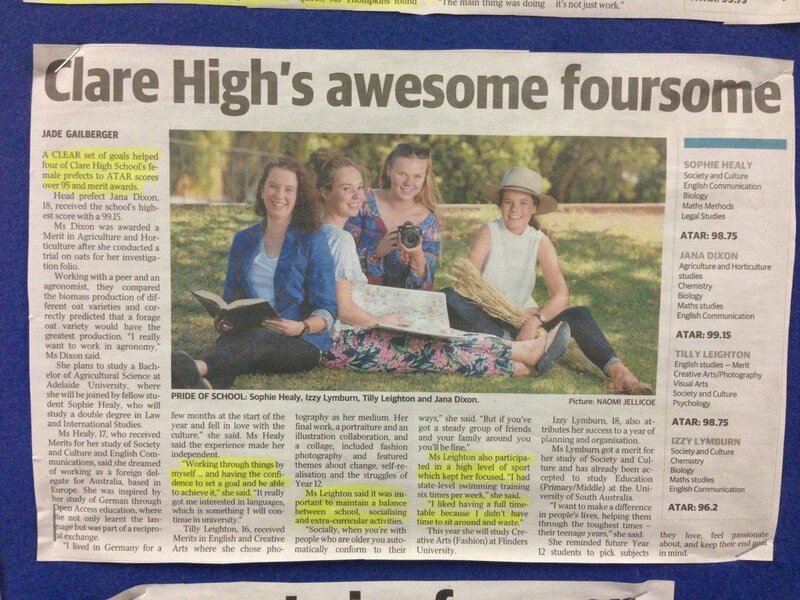 The Year 11/12 home group room has a great pin up board space to help motivate and encourage high standards amongst the students. 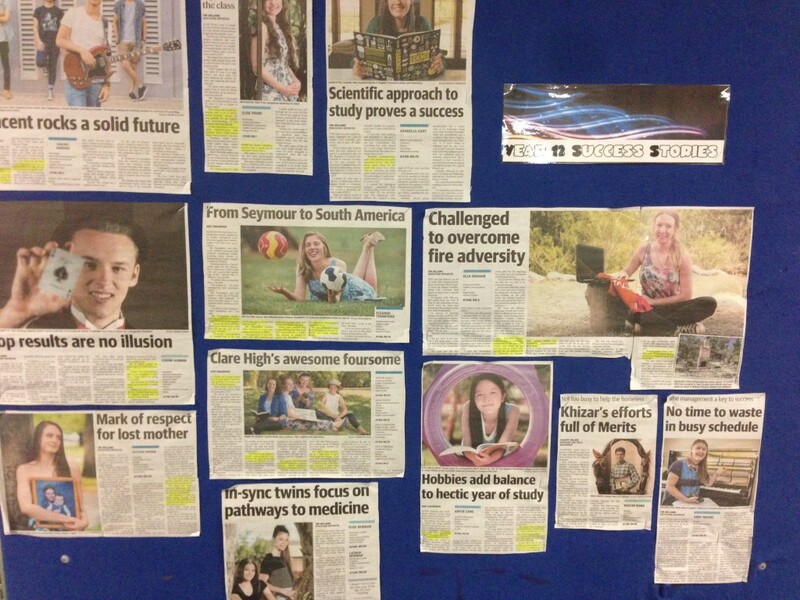 Newspaper articles about “Year 12 Success Stories” have been placed on the pin-up board highlighting key strategies that helped students succeed. The 5/6 class use the Thinkers Keys to develop strategies for how they think about their learning. The 5/6 class also has clear student expectations, a great reference point for discussing student behaviour – positive and negative. 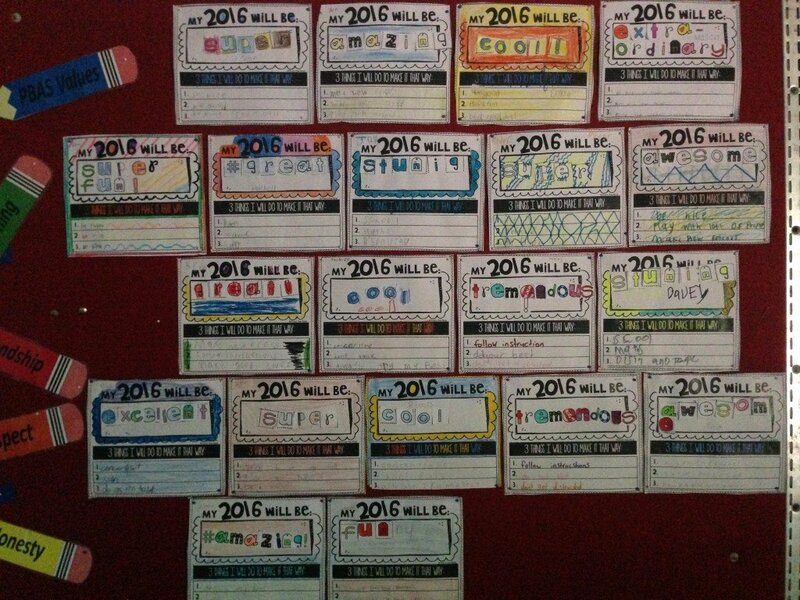 Students spent a great deal of time at the start of the year deciding on and negotiating their class agreements. 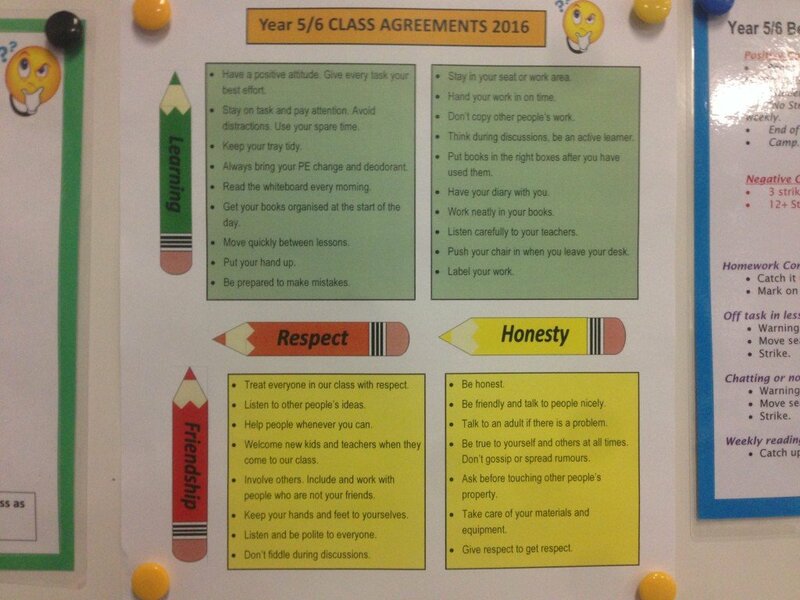 They also divided them into learning agreements (green) and social agreements (yellow). 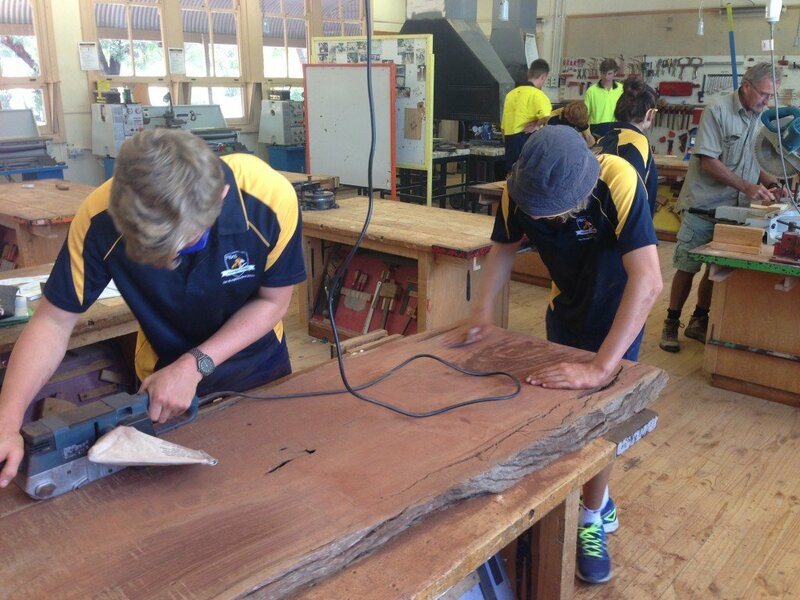 In Woodwork two students work on preparing a bar top made from Redwood. 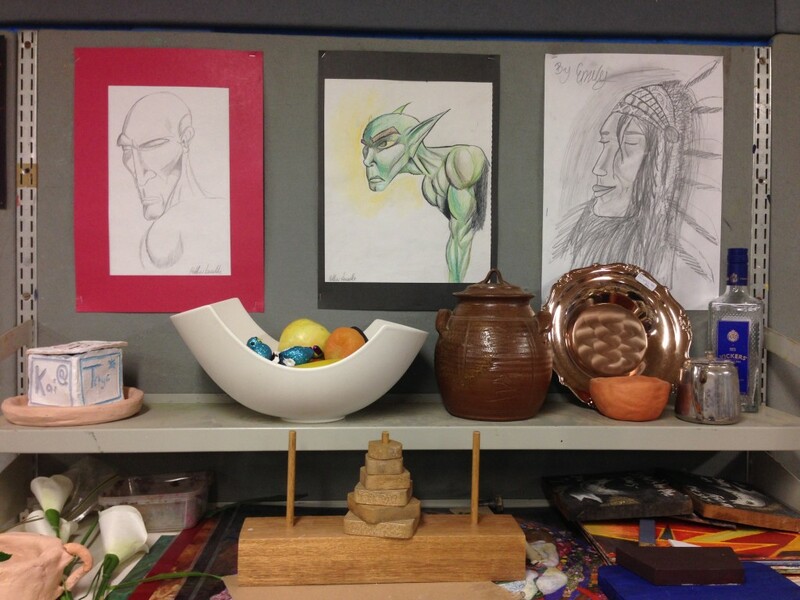 In the art room examples of student learning are everywhere. 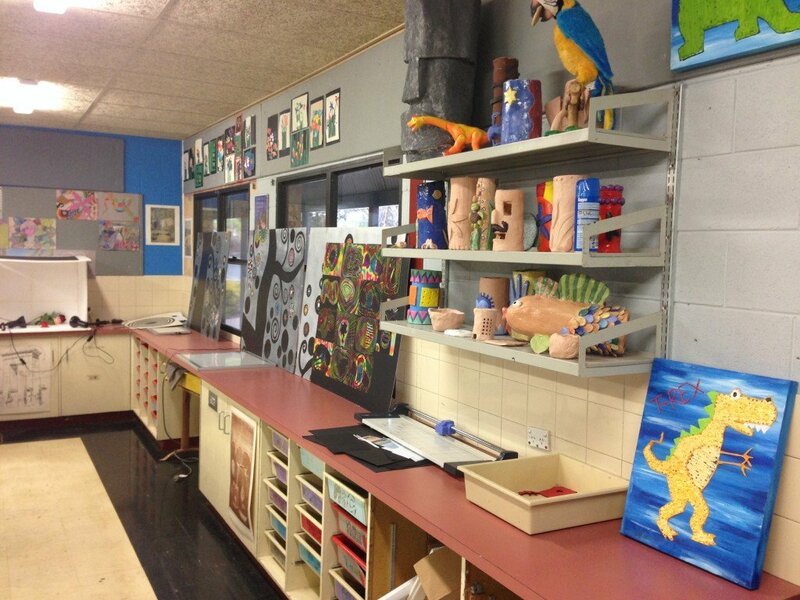 A great way to show students what is expected as well as allowing students to feel proud of what they have created. 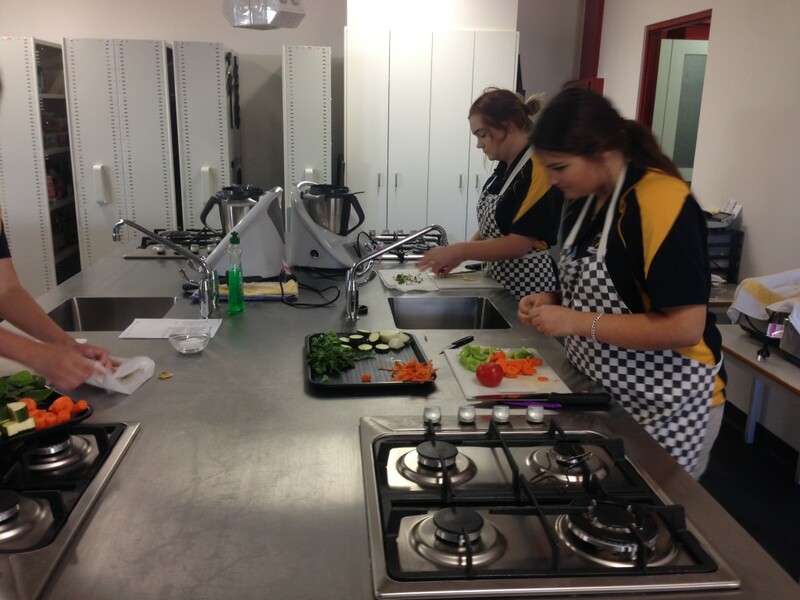 In Food and Hospitality students have been learning how to use the Thermomix. 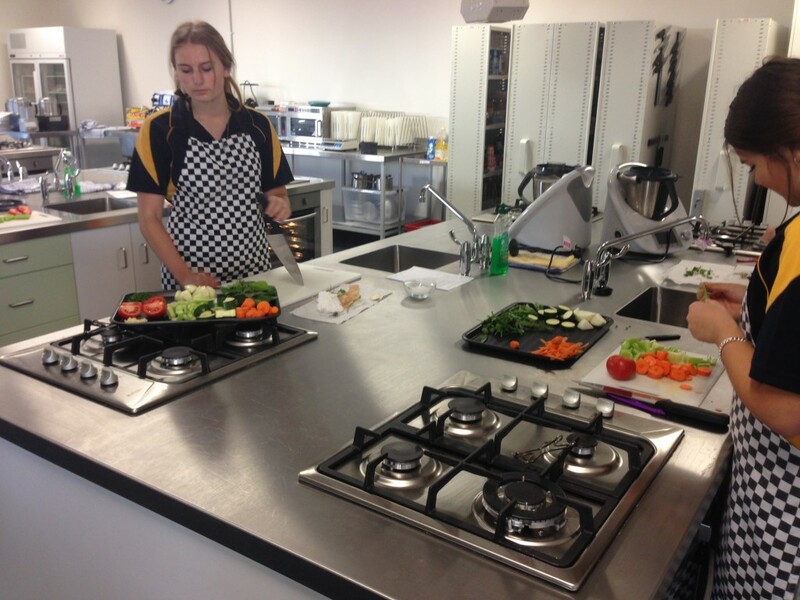 Students can be seen here preparing a vegetable stock to be cooked in the Thermomix. 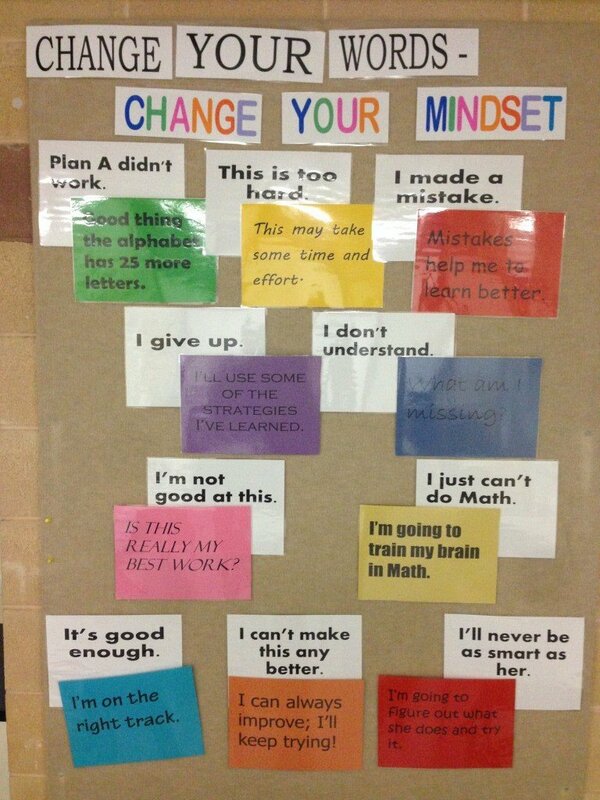 In Maths and Science students are being exposed to the concept of Mind Set. 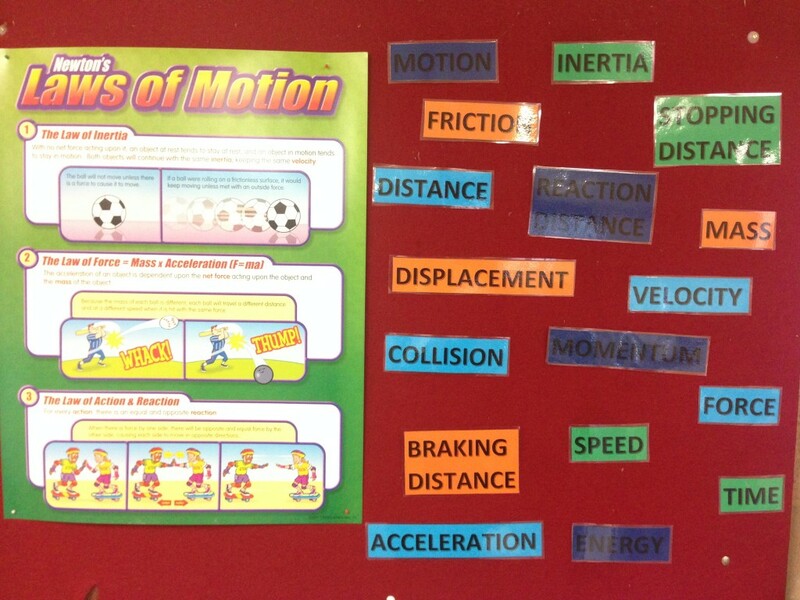 Word walls are always a a useful tool and in the Science lab the latest word wall is all about Newtons Laws of Motion. 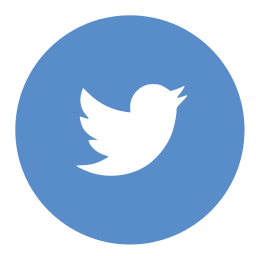 In a nutshell Class Dojo is a classroom management system that allows teachers to monitor and acknowledge postive and negative behaviours and share this with students and parents. 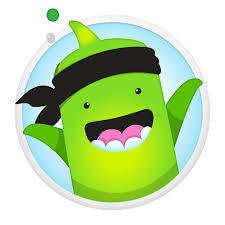 If you would like to know more about Class Dojo then click here. Class Dojo has produced a five video series on growth mindset using the characters from the classroom management system. The videos explain Growth Mindset and its application focusing on the brain, the magic of mistakes, the power of yet and the world of neurons. 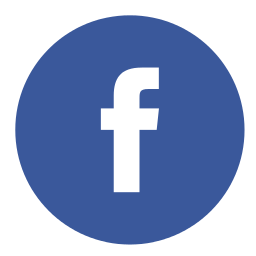 POST UPDATE 27 January 2017 – The complete set of these videos are no longer available on You Tube. They are available on the Class Dojo Big Ideas website.